to see what derby racing is all about! All-American Soap Box Derby® World Championship Race in Akron, Ohio. at www.dmsoapbox.com or contact the association at dmsoapbox@gmail.com. *1701 E McKinley Avenue in Des Moines - Take SE McKinley Avenue 1/2 mile east from SE 14th St to track (south side of road). Enter gate at 80/35 BMX and Soap Box Derby Track sign. **Please note, to be eligible to compete in a Soap Box Derby Race, your child must be between the ages of 7 and 21 years of age on race day, but those that are 6 are able to participate in the Rookie Day. *** If your child is physically or mentally challenged and interested in racing, please contact The Greater Des Moines Soap Box Derby as soon as possible. We are in the beginning stages of launching a new racing division for your child and would love to have him/her participate. 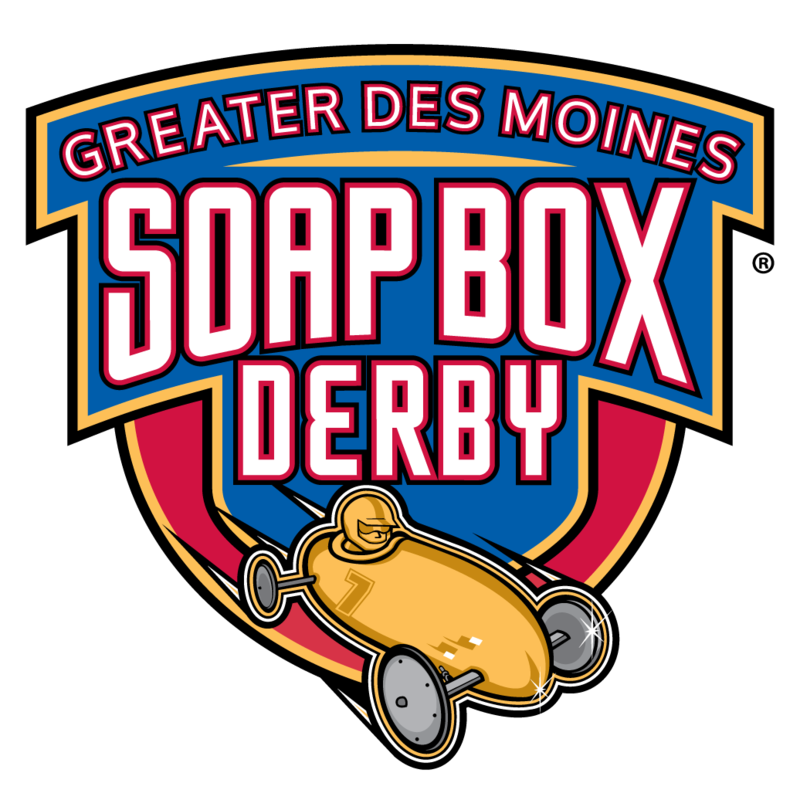 Would you like additional information about the Greater Des Moines Soap Box Derby Association? Visit our Facebook page today! Would you like to join in the discussion about the Greater Des Moines Soap Box Derby Association? Visit our Facebook group today! Would you like to purchase Greater Des Moines Soap Box Derby merchandise? Visit our RedBubble page today!